Online selling is a very exciting area to add to your sales strategy. We’ve seen many of our customers celebrate increased profits when they implement and manage an effective online strategy. 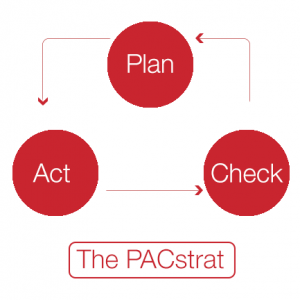 Each element will need effort from your team to prepare the strategy, implement, maintain and review it – we call this the PACstrat (of course I couldn’t resist slipping in that bit of Pacman-geek-speak!). With an effective eCommerce strategy and a dedicated team, increased profits result through new sales and/or through more efficient business procedures. You have plans for increased profits but where will your increased profits come from? Whether it’s increased sales through new channels, closing sales or working more cost effectively, a very likely source of your increased profits will come from a well managed e-commerce strategy. Online booking words like Look To Book, Credit Cards, OTAs, GDS’ and Channel Managers very quickly get marketing and sales teams dreaming up these profits and increased occupancies. Their enthusiasm is catchy – but plug those buzz words into Google, hit enter and the volumes of search results leave you feeling like there’s not enough bandwidth on your laptop – let alone enough to get your eCommerce strategy up and running. With this being such an overwhelming business strategy, hoteliers often make the fatal mistake of approaching eCommerce as a sales after-thought or a fishing expedition. They think that randomly implementing a few connections and a few technologies will bring the profits they seek – and they often come miserably short. They celebrate the ad hoc booking instead of comparing it with all their overall sales strategies. These customers rarely claim true online profits – in fact many of them go horribly wrong and just confuse the market or create price disparity which weakens their product and can negatively impact other carefully nurtured sales strategies. Implementing and deploying an eCommerce strategy is a business decision – one that’s as important as your existing sales strategy. It needs a dedicated team to workshop, manage, track and refine your eCommerce plans. So, whether your focus is maximising direct sales or making working with your partners more efficient, you’ll need to: define an eCommerce strategy, add technology to achieve it and allocate resources to ensure that you get the profits your marketing and sales teams promise. This means you have a lot of work ahead of you. As the online inventory and availability distribution hub, ResRequest plays a key role in working with our partners and customers to identify online booking options that work for you. To help you kickstart your blueprint to success, we have identified the online booking options available to you, their pitfalls, successes and general industry trends. Your website. Your investment in a great web design is to excite customers about your product and lead them to buy. Once your customer has made a commitment to purchase, they ask for price and availability, which culminates in a sale. For this reason close to 90% of our clients proactively engage in showing rates and availability on their website. Luxury / remote lodges have been less confident of the value of creating bookings and processing credit cards directly from their website. Reasons for look-to-book reluctance includes fears that guests will not be able to arrange complicated transfers. In addition lodges are concerned that automating bookings sidesteps the value of building a relationship between the customer and their product. To top these concerns, many lodges are wary of how trade partners may react to them openly targeting the direct market. As a result of these concerns for many years we saw a trend of caution to creating bookings online. Many customers only displayed availability with easy-to-use enquiry forms – but this trend is changing. Online consumers expect to be able to book online and they trust that you have implemented solutions to make their booking uncomplicated and to resolve any potential challenges. As this expectation has changed so our customers have found ways to counter online booking challenges, they’ve implemented simpler online rates, easy booking forms and resolved transfer concerns with online or central reservations solutions. Your business partners. Over time, marketing groups have formed with the objective of stimulating travel in niche markets – sort of stitching itineraries together. Some of these groups are commercial ventures, while others are informal associations born from like-minded neighbouring properties. Over the last few years we have seen an increase in interest for marketing groups and regional availability, where independent / neighbouring properties are interested in publishing availability on a collaborative web-page. This is a market sector that is growing in popularity and benefits both direct guests and travel trade. Specialist agents. Ask any agent or tour operator and they will tell you that a large portion of their success is the skill with which they are able to quickly prepare a customised itinerary. Giving specialist agents access to your stock means that agents are able to prepare and respond to requests for quotations faster then their competitors. More then 90% of our clients allow agents to access stock with their own ResRequest login, with close to 20% allowing agents to create bookings directly into their ResRequest system. To enable agents with their own systems to electronically extract rate and availability from multiple clients, we have developed an auxiliary product, ResConnect. Approximately 90% of our clients have established relationships with our agent partners who use ResConnect. Many of our ResConnect partners display availability directly on their website in order to compete with OTAs and GDS’. If you’re considering working with OTAs and GDS’ you should definitely be considering giving your loyal travel partners controlled access to their rates and your availability. Online Travel Agents (OTAs) / Global Distribution Systems (GDS). Travel sites reported significant 2014 revenues: Expedia $5.7 billion, Amadeus at E1,3 billion. With revenues like these it is understandable that every hotel would love to tap into those markets. So why are remote hotels cautious of tapping into these very lucrative channels? Concerns include the effect of boycotts by specialist travel agents and tour operators. Lodges also fear that channels will create a price war climate that will ultimately result in cheapening their products and forcing rack rates to drop. In addition lodges have logistical fears that these channels may have no concern for the guest’s knowledge or ability to transfer to and from complicated, remote locations. Over the last few years we have seen many customers tap successfully into these channels. It takes effort and evidence shows that once the connection is established, and the right marketing effort is applied, the results are well worth it. As more products become available on these channels we expect to see OTAs and GDS’ introducing ways to help remote travellers with complicated transfers – for now it’s not a problem at all – our customers playing in this space simply make the transfer arrangements as an added on service to the traveller. You may ask, how much effort is really needed for an online channel to sell my product? Getting return from this sales sector takes a lot of resources, time and work. Consider each travel portal as a new business relationship except, unlike traditional agents, you need to manage your own rates, your online listing and you need to learn how each travel portal works so that you can optimise sales over your competitor’s listings. Start with a few channels and, once you’ve monitored the trends and your team are experienced in working with this space, start expanding to more relevant portals. So how does ResRequest make this happen? ResRequest covers all your distribution needs with our own direct connections and via channel managers. The diagram below illustrates our distribution blueprint. Online bookings are about reaching online customers and working more efficiently with your business partners through electronic connections. ResRequest’s Online Bookings module lets you connect to online users electronically; distribute your availability and rates, and make bookings through online channels and your own website. Your online strategy will include one or many of the online services available to you in ResRequest. Some of these connections are direct and some are available through our Channel Manager partners. Ideal for your online-savvy clients and repeat customers. Show availability and rates on your own website and give your customers the ability to ‘book and pay now’. 1. ResRequest: Brand and use ResRequest’s online booking form and credit card gateway, or let your web designer use our interface (API) to develop your own booking form on your website. Alternatively use our booking widget, ResNova, on your WordPress or general website. 2. Channel manager: offer a direct booking form available via any of our partners channel manager. FaceBook: Add a booking widget to your Facebook page using some of our preferred Channel Managers. A ResRequest widget for FaceBook. TripAdvisor: Via selected Channel Managers, list your stock alongside popular OTA’s to increase your chance of a booked next to your ratings. Circuits: Using the ResRequest interface (API) create circuit bookings within your own products or collaborating with other ResRequest properties. Help your top agents compete with online travel agents by giving them an online edge. Give your selected agents access to ResRequest with a secure login. Give your preferred agents controlled access to ResRequest by adding them as a ResRequest user. Let them lookup availability and make bookings to increase their chance to quote quickly and book efficiently. Distribute your stock to Africa’s top safari agents. Connect your stock and bookings to specialist agents and tour operators using our electronic connection programme, ResConnect. Sign up as a ResConnect customer through our call centre. A ResRequest user is created with restricted permissions. The user is linked to each ResConnect partner via our bridge. Connect to OTAs and GDS’ and leverage access to thousands of global agents and travellers who are searching for a safari vacation. Use our Channel Manager partners to distribute your inventory and rates and make bookings to OTAs like Expedia, bookings.com or GDS’ like Pegasus and Sabre. Our Channel Manager partners include: Nightsbridge and SynXis. Select the Channel Manager that suits your distribution needs, budget and reach. Your account is setup with the channel and then we connect ResRequest for you. The last step is that you manage your profile and rates on your preferred travel sites.